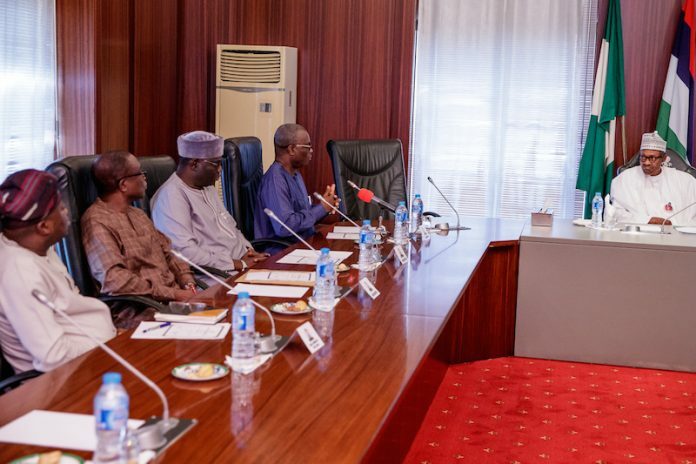 The West African Examinations Council, WAEC, Friday, said the controversy concerning President Muhammadu Buhari’s school certificate is embarrassing and felt a sense of duty to produce and deliver to him a confirmation and attestation of his results, in form of a duplicate certificate. This is a god-sent, with WAEC being a non-political entity. This should put to rest the absurd allegations by the People’s Democratic Party, PDP, brought up again and again, that he did not attend a secondary school. The unreasonable position of the PDP had been sustained all along in spite of testimony by classmates who read with him in school and graduated together, and that fact that a court of law had given a ruling on the matter. In 2014-2015 when they raked up the issue, I remember that it took the courage of the then college Principal to issue a statement of results from available records. In doing so, he defied the ruling PDP government in the state which asked him not to. At the time we got the results sheet, reports said that the government had determined to send arsonists to burn the school to ashes so that the existing records will be obliterated. This was against the backdrop of the shocking claim by the Army Records office in Lokoja, that they didn’t keep any records of General Buhari as a military officer. Curiously, the Army Records office had once come under Muhammadu Buhari, as Military Secretary who, during his tenure streamlined the records of the entire officer corps, and could not, by any stretch of imagination, have left his own records in a mess. General Alani Akinrinade (Rtd) reportedly dismissed this mischief as an insult to the military. After doing his conscience’s duty by daringly releasing those results, the then government of Katsina State punished the Principal by stripping him of his seniority and posting. As we said in a number of past statements, the matter of the President’s qualification to run for office is a non-issue, nonetheless feasted upon by the PDP which has stopped thinking and have nothing to offer to Nigerians. Based on arguments that “education gives a human being the power to discriminate between right and wrong,” the 1999 Constitution stipulates a minimum educational qualification for citizens who intend to contest for elections at all levels, which requires that they must possess a secondary school education or its equivalent. The provision above has itself come under serious re-examination by scholars who argue that the possession of a secondary school certification does not necessarily mean that a person is intelligent. It is equally argued that it is a mistake to assume that a person with a certificate has higher knowledge or intelligence than the one who doesn’t have. As far as his educational career is concerned, President Buhari attended the Katsina Provincial Secondary School, before enrolling in the Nigerian Military Training College, NMTC Kaduna (1962), renamed Nigerian Defence Academy, in 1964. As narrated by Major-General Sani Saleh (Rtd), “I worked at the Nigerian Defence Academy so I know the processes. You cannot get in with a forged certificate, it is impossible. From NMTC, Muhammadu Buhari went to the Mons Officer Cadet School, Aldershot, United Kingdom (1962-63), the Defence Services Staff College, India (1973) and thereafter, United States Army War College, which upon completion, awarded its graduates a Master’s degree in strategic studies. In the belief that the nation has the right to know the educational details of their president, Candidate Muhammadu Buhari laid bare everything and tendered an affidavit in respect of the WAEC certificate. The masquerades wielding the real power behind the PDP, some of whom played an active part in his overthrow as military Head of State in the mid-eighties are deliberate in keeping this issue alive. As a thoroughbred, toughened general, he won’t cry out that his home and office were vandalized by scoopers when they threw him out of power. In meeting the eligibility for the contest in 2015, President Buhari presented the WAEC results and the other degree and non-degree related results. He went through the verification process in the party, the Independent National Electoral Commission, INEC and the court. He ran and won against the PDP. With these, the unnecessary controversy should have ended. It is equally hard to fathom how such a dead issue should get the type of attention given it by the media, considering the many matters of serious concern to the citizens – internal security that was given a short shrift for 16 years by the PDP; the diversification of the economy by focusing on key sectors (apart from oil) that can create jobs and generate revenue such as Agriculture, Solid Minerals and Manufacturing which the Buhari administration is keenly doing; the ongoing pursuit of more reforms and better governance; bolstered efforts towards poverty alleviation; ending corruption and insurgency and ploughing the savings therefrom to put in place needed infrastructure and so forth. Do they know that Nigeria Airways, NITEL and other pensioners they left in the cold, unpaid when they sold public assets to cronies or to themselves are getting their dues under this dispensation? If these things had been done when the oil price was as high as US$140 per barrel, Nigeria would not be in the current predicament. We would not have suffered when we had no cash reserves but we had regular supply of power, a good rail system, good roads and good housing. These are the issues dear to the hearts of our people. In its political fight for 2019, the PDP is not relying on the big issues of the day -security, corruption and jobs but on small, distractive matters that take little or no account of national interest. But what do you expect of a group that has stopped thinking, just blowing hot, toxic air, indulging in divisive politics and is raking up sectional issues so that the people will forget the real issues of corruption, infrastructure, security and economy for which they have no plans?